Being spiritual will help you transform into a better being and boost confidence within you. Following this path by involving in religious or spiritual practices, meditating, reading books on spirituality will help you be successful in life. Not only you notice the positive change but your mindset and focus also achieve a whole new level. Read on the following points that how being on the spiritual path will transform you and your surroundings. Being up to your words help you win the trust. Following through your own commitments, large or small, shows others that you are a person of your words. No matter what happens to and with you, you are always blessed with the freedom to choose. You can select joy over desolation, love over hate, forgiveness over revenge, growth over inactivity. Remember, any happening can bring to mind the best in us or the worst in us. The choice is all ours! A person who is spiritual will always find the time for others as well. They help bestow God’s knowledge to others and help spread kindness among all. The optimistic nature helps to take you a long way ahead. Following the teachings of spiritual growth books helps to attain a positive mindset and attract positive vibes. Another crucial element of spirituality is the manner of helping others. This helping nature helps you to get liked and always be flooded with love and blessings of others. Meditation is the essential step to attain spirituality. Meditation helps to improve focus and infuse the capsule of calmness within you. You take full ownership of what you are, not make excuses, and not blame others. You don’t use your past mistakes and experiences as a hurdle. Rather, learn from it and be a change for yourself. It means you are aware of your purpose, know the value of your existence and practice the pause by reading inspirational novels by Indian authors. Once you enter the home of spirituality, your vision widens, and you’re always ready to work for the betterment of the society. You view things differently and this is the reason that spiritual people are most successful in terms of mental peace. Gratitude and love towards God should never stop. A spiritual person knows the value of the human soul and body and always utters the teaching of God. Be thankful to God for each and every day and moment. Remember, the change starts with you and ultimately this change will lead you to success. 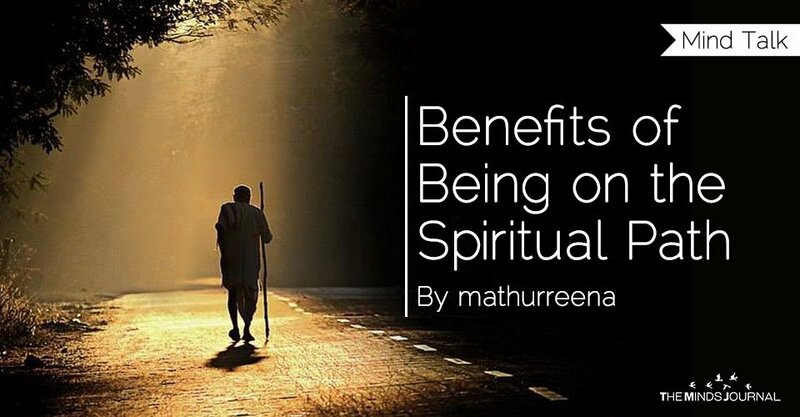 The major benefit of being on the spiritual path is that you achieve a deep spiritual connection and also strengthen your connection with the God. Reading books on spirituality helps you know who you are and cleanses your soul and mind by infusing the teachings of the God.